This is a fascinating look into the legalization of marijuana in New York City. 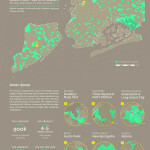 R/GA take a look at the City’s ‪#‎OpenData‬ and compares it to Washington State’s strict guidelines on dispensaries. By the NY State law, only 20 dispensaries can open in the state. Using a tight formula, there are 6 areas where dispensaries could be located in New York City.